Serendipity," is professor Gurumurthy Kalyanaram's one-word answer to the question on why he joined Amrita Schools of Business as its Dean this February. "It was not a grand plan or any design," says GK, as he is popularly known. A product of Kendriya Vidyalaya in India, he left for the US in 1981 after studying electronics and communication engineering from REC Trichy (now National Institute of Technology, Trichy) to pursue an MBA at the University of Texas, Arlington. 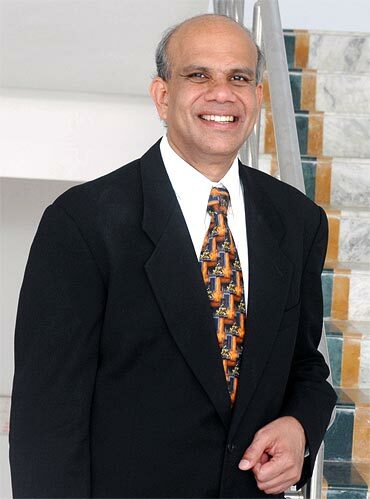 A scholar and researcher, published widely in scholarly journals in the US, GK earned a doctoral degree in Management Science Marketing and Industrial Organisation Economics from MIT and since then has been associated with teaching, academic administration and consulting in the US for more than 20 years. "I am not making any promises but I will give my 100 per cent while I am here," says GK about his stint with Amrita School of Business that has campuses at Coimbatore, Amritapuri, Bangalore and Kochi. "I am going to explore a partnership with MIT Sloan School for a leadership programme. I am also going to the University of Maryland for a partnership for a joint dual degree programme," he continues. In a candid chat with Prasanna D Zore, Gurumurthy Kalyanaram discusses what ails research in Indian b-schools, his plans and vision to make Amrita School of Business a trendsetter in producing intellectual research papers, the challenges he is likely to encounter and how he plans to tackle them. What brings you to the Amrita School of Business? Pure serendipity. Keeping up with serendipity we will wait and see. I am not making promises to others, or myself but as long as I am here I want to give it my 100 per cent. 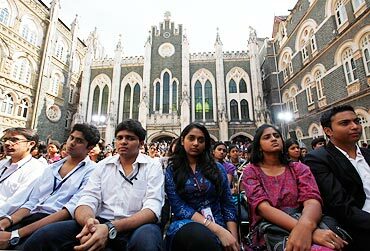 How are Indian b-schools different from say, b-schools in the US? I have seen business schools all over the world. Now I am differentiating between good US business schools and b-schools in India. There are about 3,000 business programmes in the US and about an equal number here. The difference is professors there do a lot of research. Here we don't have that culture. It's not that the professors here don't work. Indian professors do lot of teaching and consulting. Academia is a business of thinking, reflex, thought process. Now if you don't think you don't rejuvenate yourself. The best indicator of this thought process is you produce some intellectual output. Then send it to peers to measure its quality and usefulness and publish your research in scholarly journals. The professors in the US colleges have to do it to get their tenure. They do it at a furious and sustained pace. You know lots of research is just average. Most of them are ordinary flowers but if one of those turns out to be great ideas then that's the reward. That's the reason why US professors are more contemporary. Not because they are better teachers but because of their engagement in research. By the time their wisdom -- something that is found in research -- comes to the textbooks (in India) it is four or five years old. What I am stressing is the gap between research output and textbook material is five years. For this reason alone Indian business education lags behind by five years. That's the huge difference. We haven't fostered a set of incentives, culture for doing research. Of course, professors in India are bright and do brilliant work teaching but the challenge is to get them to produce quality intellectual output. How is Amrita School of Business different from others in India or the US? I see a lot of business schools talking about ethics in personal and public life. It has become a cliche now. At Amrita School of Business, and not since I joined them, they have been doing it for long time. But that needs to be properly publicised. They have a course called self-assessment and personality development. It helps students spend time on reflection learning different philosophies. By the time children turn 11 or 12 their physical framework is very much set. By the time they turn 15 it is done. By the time they enter business school they are 20-year-olds or probably older. But what if at that point of time somebody provided them with an ethical framework to reflect. This helps them introspect and take tough decisions. I don't know of any other b-school in India or in the US that offers such courses in the class and lets students earn grades for it. The other course I am talking about is and these are all mandatory courses what they call beyond profits where students go out and work with the community. They earn credits for it by writing reports. Amrita School of Business has embedded these courses in its curriculum to offer students a unique opportunity to impart ethical framework that all of us in the business world talk about. But here at Amrita School of Business we have embedded courses that are integrated for ethical framework. How do these courses help students and communities with whom they work? There are two such courses. Let me focus on them. One is self-assessment and personality that is for an individual's self-development that will help your decision-making ability. This involves role-playing, video, acting, reflection, yoga etc. The other programme is to do community service that benefits the community. We have a metric that helps us understand the extent to which communities benefit because of this course. We do feasibility studies for the Senior Citizen Homes by speaking with senior citizens and they will vouch for the productivity of this programme. You can come to Coimbatore to see for yourself the specific impact we have had on various communities there. In fact this programme also helps students' development at the social level. The way to learn is to teach and when you teach you learn. So by the act of doing community service we learn. The point is we have programmes that help students become thoughtful contributors to the economy and society. What are the challenges that you are facing right now and what kind of targets have you set for yourself? The biggest challenge is encouraging people to do research. This is not limited to just the Amrita School of Business but to the larger environment that we have in India. There are lot of impediments to why good research is not happening in Indian universities. The faculty here do not know the editors of international journals; they are not used to writing. So it is bringing the culture of research into the environment. It is something like working out. If you have not gone to the gym for a long time you are always reluctant to do it at all. The same applies to research. It is not easy. It is like getting on to the treadmill and working out. So, at Amrita School of Business I am encouraging the professors, I have been writing papers with them. For instance, I am going to an international conference in Singapore organised by people in the US to showcase a paper that I have written with a colleague of mine. The reason is the more often you do it, the better you get at it and it helps to get the fear out of your system. The first target is to encourage professors at Amrita School of Business to do research by creating a favourable environment, by creating a sense of urgency, writing manuscripts with them, providing guidance on the journals they can try to push their research papers. We have bought something called as Cabbel's directory listing around 2,200 journals with little descriptions about what kind of research is published in each of them. We encourage proposals from our professors on the research they would like to do and provide them with the necessary wherewithal. In many ways I am trying to make marriages among researchers, provide them exposure of international research conferences because the greatest thing that works is peer pressure. The other thing that is driving us is to get accredited by international bodies like AACSB (The Association to Advance Collegiate Schools of Business). This is a professional body based in Tampa, Florida, that accredits business schools based on their quality of students and faculty. Also in Europe there is another professional body called European Foundation for Management Development. They give an accreditation called EQUIS (European Quality Improvement System) again based on quality work of a business school. I have set it to myself to get accreditation from both these bodies. We are filing eligibility report with both the bodies. We hope to be selected by both the bodies to be eligible for accreditation by December 2011. After that it takes a couple of years to get the actual accreditation, as there is a process involved. One of the elements for this accreditation is intellectual output by the faculty. In India, as of now no business school, including the IIMs, have got an accreditation from these bodies. As of today, as many as 600 global schools are accredited by AACSP, including 500 from the US and the rest from the different parts of the world but none from India. 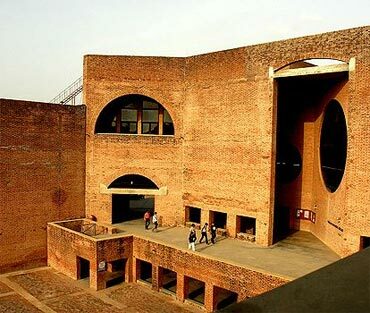 IIM-A and IIM-B have accreditation from EQUIS for a three-year period. What all this efforts at Amrita School of Business tells us is that we are aspirational. And I am telling the people that in three-four years -- we have started the process systematically -- we will be one of the very few business schools to have both the accreditations. The other challenge is to attract a diverse set of students at Amrita School of Business; diversity in terms of backgrounds and work experience with which students come here and diversity in terms of gender. What we lack here is diversity in terms of geography given India's vastness. I am very keen to attract a lot of people from northern India to Amrita School of Business. We get enough applications, we have got enough students from the north but not as many as I'd like because a fellow from Ghaziabad will have differential experience from a guy or girl from Chennai in terms of their life experiences as they bring different things to the classroom in terms of learning. This is an important goal and that's why I am here to chat with you and anyone who will listen. Do you think Amrita School of Business will become a trendsetter in terms of publishing research papers in prestigious journals in the next 5 to 10 years? Let me make a stronger statement. We are going to be a trendsetter in the next two years. We are going to be so good -- and I am going to tell this to my faculty that I have promised this -- that we will become trendsetters in two years. We have been on the treadmill for the last couple of months and within a year we will make significant improvement. We have already got 13 very good papers from our faculty out of which we have rejected five which will come up for review after making the recommended changes to them. In terms of faculty recruitment -- we have rejected PhD professors from IIM-A -- we have recruited nine professors from the 11 applications that we got. And I say this to them: we are not in the business of selling sugar candy; we are in the business of education. We need people with best doctoral degrees and we certainly will be trendsetters in the next two years because of the intensity of our aspirations. Is cultural difference between the north and south the main impediment to getting more students from the north? The biggest impediment is the Amrita School of Business is the best kept secret and I don't like this status at all. I want to be known. Nobody knows what quality and programmes I (Amrita School of Business) offer to students. That's the problem. It's a crowded marketplace. There are so many business schools with about 2,000 business programmes. When I say nobody knows us obviously that's rhetoric. There is not enough awareness and knowledge amongst the student community about Amrita School of Business and its courses. So my first job is to let students know that we exist and who we are. Of course, there are some cultural issues the food is different. 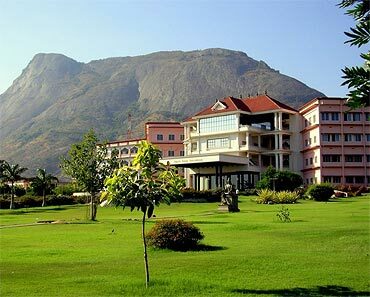 One should come to Amrita School of Business's Coimbatore campus to see how beautiful it is. So, my biggest challenge is to create awareness: who we are, why we are very good and what we offer. What is your message to India's young students? For our business school students -- and I would say they are very bright, very curious, very energetic -- at the macro level I would encourage them to get acquainted with latest contemporary business research by visiting good libraries and reading best journals. Some of them may be difficult to understand but at least they can at least get the headlines about what's happening in the world of research by the best of minds globally. Because we are a part of a global society, we (Indian b-school students) are being globally benchmarked and they should strive to compete with output from Harvard, MIT Sloan and Stanford and they can go to any of the b-schools here but they should supplement it by reading these latest scholarly journals to know at least the latest applicable research findings. At the micro level I'd say that Amrita School of Business provides excellent opportunity, we have integrated values and wonderful education in a wholesome manner. It's a best-kept secret; we don't want it to be a best-kept secret. Come and visit us, and you will find us remarkably productive. If you get your degree from Amrita School of Business two years from now it's value is going to be immense four to five years from now because we will be one of the few schools to have been accredited by ACCSP and EQUIS. Off to study abroad? Don't forget these 10 things!